Although there are a lot of WordPress page builders available in the market these days, choosing between Thrive Architect Vs Elementor Pro gives you a by far better page building experience. You can use these page builders with exceptional ease without having to need any tech skills. However, there are certain differences between Thrive Architect (Review) vs Elementor Pro. Understanding these differences will certainly help you make the right choice. This post will walk you through the various differences between these two amazing page builders. 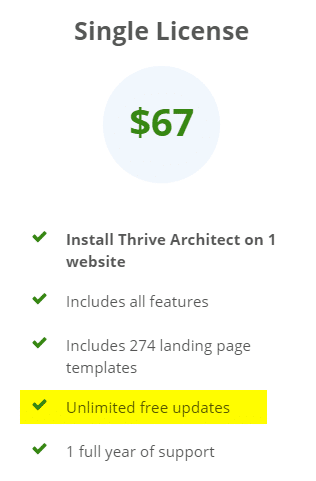 The Elementor Pro apparently seems to be a little cheaper than the Thrive Architect. the Elementor Pro is available at $49 for a one-site License and $199 for unlimited License. The Elementor page builder is also available in free version. However, The Thrive Architect does not offer any free version. Even though Elementor is free, you still need a Pro version in order to stand out of competition since only with Elementor Pro version you'll be getting 50+ Pro widgets and 300+ Pro templates. These are pretty much the same in both the page builders. However, the major difference starts with the period of the plugin updates. 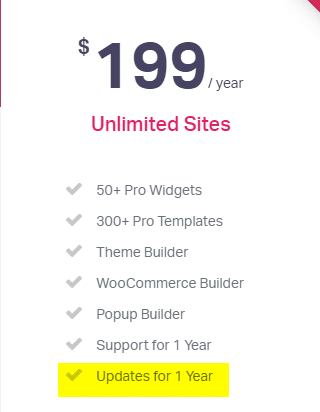 the Elementor offers only one year of updates which means you will need to buy the package over again after a year since the product needs regular updates to work with latest WordPress versions and to be compatible with other plugins. 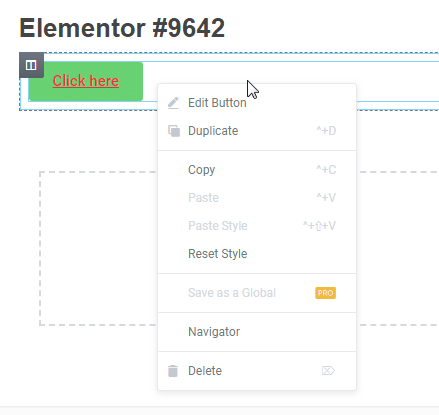 The Elementor Page builder comes with 25 integrations and in order to use any other integration, you just need to depend on third-party add-ons plugins from the marketplace. Out of 35, Thrive Architect offers API email integration with 24 email service providers while Elementor offers integration only with 9 email marketing providers(check the list), which is a huge difference. There is a huge difference between the Elementor Pro and Thrive Architect in terms of elements and purpose of use. Both the tools offer 100% options to design a page with your own thoughts. However, when it comes to conversion-focused design, Architect wins straight away. Of course, the Elementor Pro offers some marketing based elements like star rating reviews, countdown widgets etc, Thrive Architect offers a whole new level of elements for better leads and conversions when combined with most compatible themes. Architect elements offer more control over how to show the elements or widgets, control whether to display between devices, deeper options to edit countdowns, conversion tested repository of CTA buttons, content boxes, guarantee boxes, dynamically animated headlines, content reveals options and more. Architect comes with an A/B page testing through Optimize while Elementor doesn't have an option for A/B testing which is a huge drawback if you're conversion focused marketer out there. If you're a marketer, Architect is going to help you more than Elementor. Apart from it, there are a lot of usability things where Architect goes well. Since there is a long list, I' presenting you some of them. Pinned Elements. 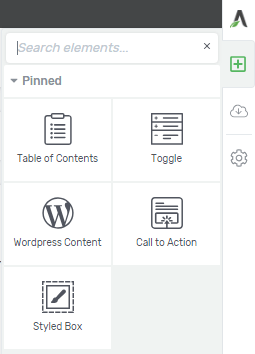 Due to the presence of a lot of elements, Thrive added pinned elements where you can pin your most favorite one and use it at one click but when with Elementor, all you need to scroll further or type the element name to add it in the workspace. Ease of use. You've added a widget and looking to delete it! with Architect, you can do this in a single click, either delete or duplicate but with Elementor, you need to make a right click and then need to do the action. Someone might feel, whether it's such a big thing to discuss, but trust me, this comparison looks silly but when you work on designing a page from scratch, you can understand how good Architect can save your time for a longer time. You'll really love reading this how Architect goes good against almost all the pages builders in the market and not only about Elementor. 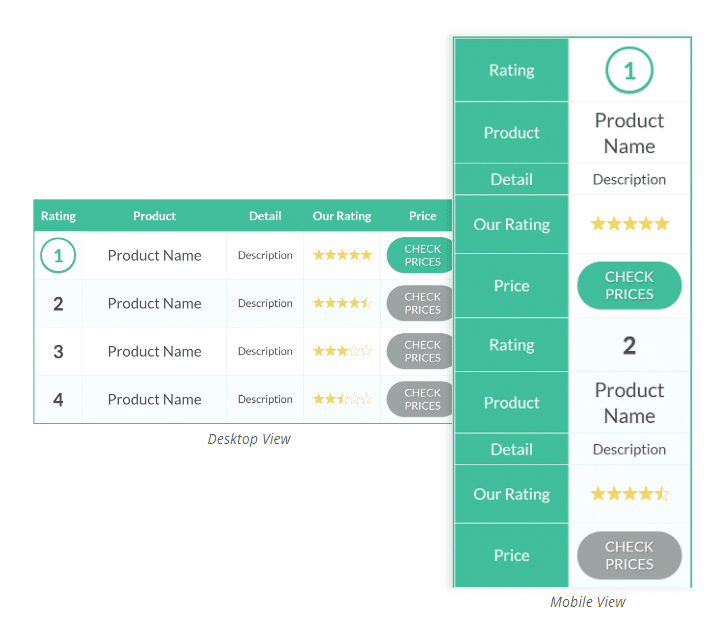 Architect offers a mobile responsive table designed for affiliate sites. This how the tables will look like from desktop to mobile devices, all you need to check an option to make table responsive and it's done. You can check this post, check the affiliate review product table both in desktop and mobile, you can get a clear idea of how impressive the feature is. Table of Contents for better SEO. I'm pretty sure, you've seen this Table of Contents anywhere and this is designed with Architect and not only Elementor, most other builders don't offer this and you need to depend on 3rd party plugins but there is no single plugin which works flawlessly with Elementor. If you search any of this keyword in Google, you can actually see Google shows Jump To Links thus offering better CTR. Styled box. Ever thought of making a conversion styled boxes, Thrive has a lot more to option than others. 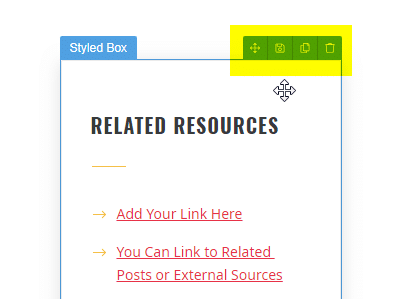 The plethora of styled boxes help you to make a boring affiliate review content into an impressive one. The choice of page builder is solely dependent on your level of convenience and you should always choose the one you are most convenient with. However, there is another deciding factor and that is the purpose of your website. Both the plugins (Elementor Vs Thrive Architect) are awesome in its own way have their own pros and cons but as an Internet Marketer, I recommend Thrive Architect over others. However, if you're a budget bloggers and want to turn your ordinary post to somewhat good looking, look no further, Elementor is the good free landing page builder among others.